It is possible to apply horizontal or vertical stiffeners to the plates (for example flat plates, angles, T-stiffeners, trapezoidal stiffeners, channel sections). Loading on the plate boundaries can be applied in several ways and can be imported from the main program RFEM/RSTAB. 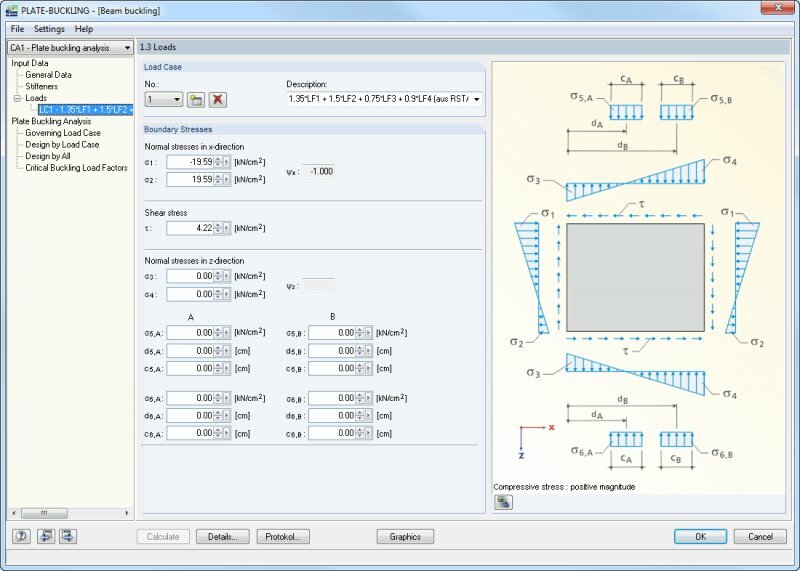 The plate buckling design in RF-/PLATE-BUCKLING is always performed on the total buckling panel as the potential stiffeners are considered in the 3D FE model. Thus, designs of single (c/t) parts or buckling panel sections are omitted. 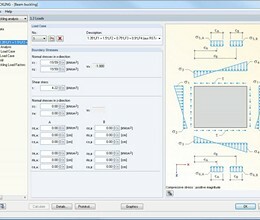 * RF PLATE-BUCKLING download link provides trial version of the software. RF PLATE-BUCKLING has been rated 5.0 out of 5 points. A total of 1 votes cast and 0 users reviewed the software.